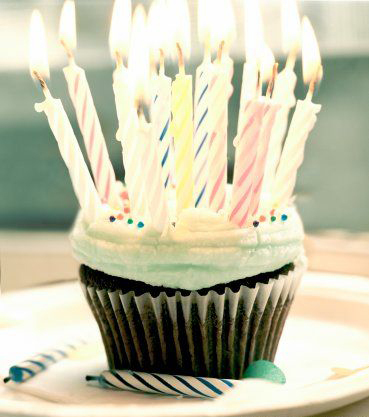 HAPPY BIRTHDAY TOOO ALESSANDRUINOOO !!! 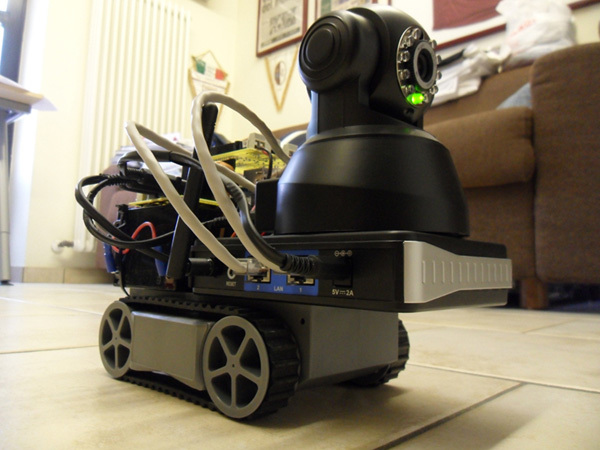 For the final exam of my technician high school, in the first half of 2012 i ideated and made this project, consisting in a wifi controlled rover with a camera on-board. I shortly explain the project dividing it in an hadware part and a software part. Well... now we have a video! Thanks specially to GroG (Java-Fu Master) and Alessandruino (Script-Fu Master) now this crazy little thing is running over my kitchen table! More to come! To retrieve analog data from an Arduino and send it back into Python for further processing the following script should work. On every pin value change event a new Pin object is sent from Arduino to Python. The pin.pin is the number of the pin whose value has changed - this is necessary so you map poll multiple pins at the same time. head will track with both eyes and neck using 3 PID - it will have manual mode with joystick ? 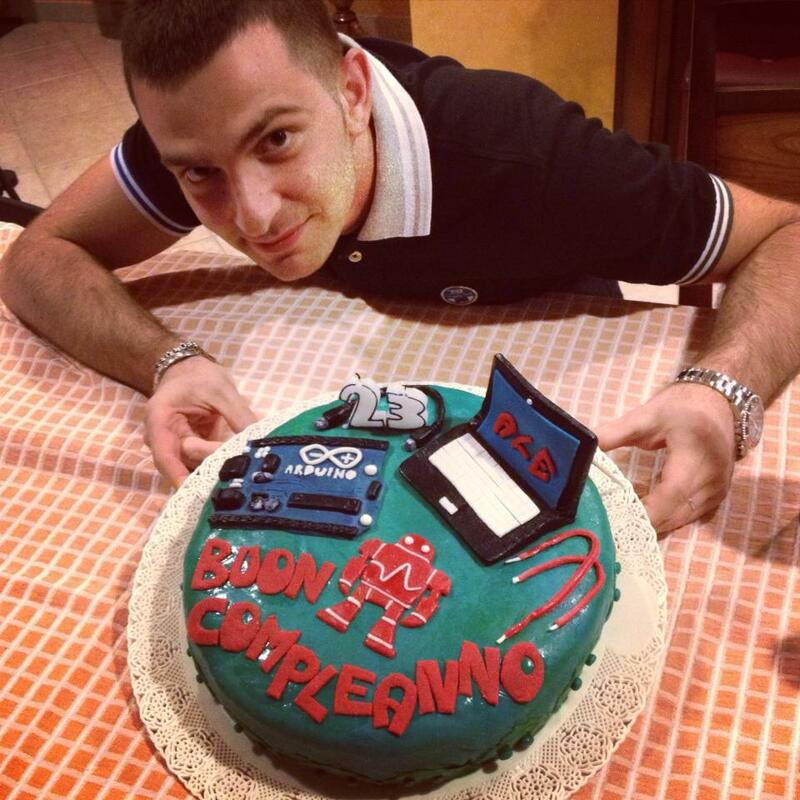 Alessandruino, this is for you. I noticed in the shoutbox that you were questioning how to properly power a Pi for robotics. So I've been working on the same thing and hope this info might give you a lot of help. 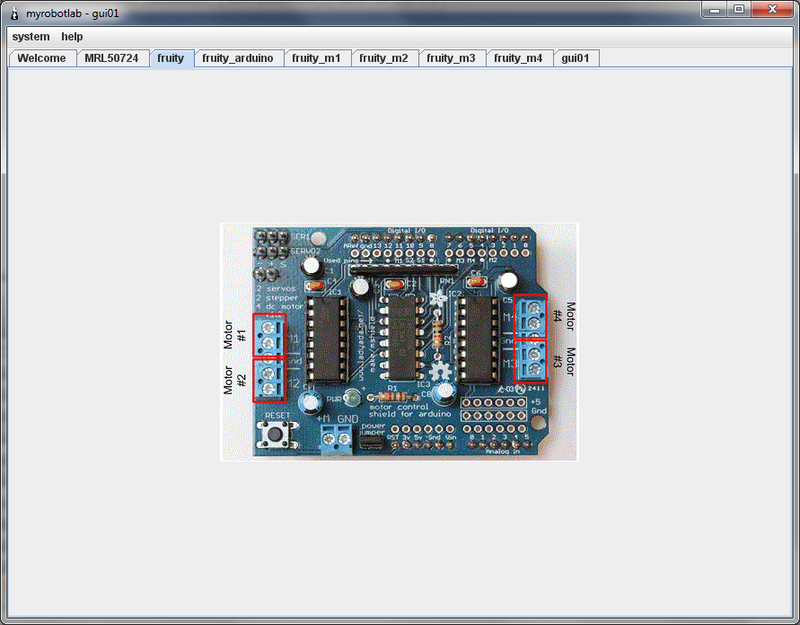 The Adafruit Motor Shield is a service which will create a number of sub services. It will create 4 Motor, 2 Servo, and 1 Arduino service. This shield uses its own library, so MRLComm.ino will need to be modified. Fortunately, the Arduino service will have the modified MRLComm.ino pre loaded in its editor. This will need to be compiled & uploaded into the Arduino.